As we all know computer science is a very vast field. Under the umbrella of computer science are nested a myriad of career choices. You can decide which path to take depending upon your interest and preference. 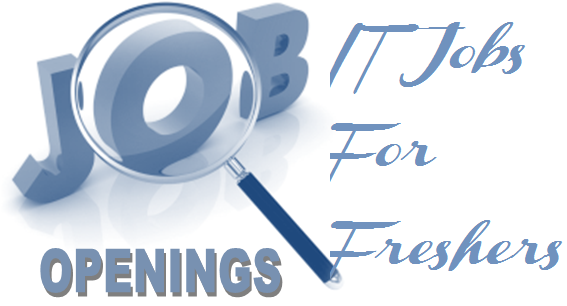 Top information technology careers pay quite a lot and have a good job market. The variety if genres in computer science is so large that you cannot dismiss at a glance that computer science is not the field for you. As the list of top information technology careers is quite long it becomes difficult for IT graduates to decide field to opt for. What you might think constitutes the computer science field may be a very small part of the big field. Here we list the top information technology careers in the information technology industry based on the salary, job market and growth prospects. 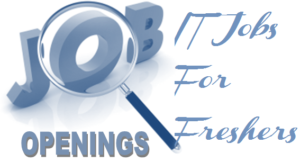 Systems Analysts in one of the top information technology jobs in IT. A systems analyst is supposed to have more than one specializations. He must not only be expert in technology but must also have a good knowledge about business. Usually IT graduates with an MBA are preferred for this post. The system analysts must understand the business process very clearly. Based on his understanding he develops the statement for the problem at hand. Then he designs the solution that will fulfil the requirements of the business in an optimal way. He usually works with the programmers, software vendors as well as business managers. He can analyze the current computer systems and machines as well as software of an organization and propose changes that can take the organization towards betterment and efficiency. That is why a business analyst must be very up to date in his knowledge about latest business trends in IT. He must know what new software is available in the markets and what are its benefits and disadvantages. He must be fully aware of his organization’s hardware constraints and should be able to identify which software to use on the hardware that he does have. The market for this job is very good because even in organizations which are not related to IT, a business analyst is required to keep a continuous check on the systems. It is a high paying job and would require you to make lots of strategic decisions. The median wage for a systems analyst is $79,680 and although it is not the highest paying job in IT, it is a satisfying position with normal workload. It is also a great career choice not only within the IT field but also overall as a career choice. It is especially good for people who get bored with monotony and want to try new and different things occasionally. The biggest part of this job is breaking up the problem and designing its solution in terms of programming resulting in a software product. This will require you to learn computer languages like Java, C++, Assembly and many others. Here learning will not end, as IT is an industry that is continuously changing and new technologies are emerging every day. Every time a new language is developed it is better to acquire it. Although no body is jack of all trades and nobody will expect you to know everything but brushing up on your skills every couple of year will be recommended. A software engineer will work in close proximity with the business analyst. The analyst will tell him the requirements and the software engineer will implement them to get the results. The job of a computer security specialist or a network security specialist as it is sometimes called is to protect the systems and data from outside attacks and leaks. It is a job with great responsibility and hence it pays a great deal too. The salaries to experienced network security specialist will be much more than a software engineer or business analysts. The starting salary of a network security specialist averages $49,950 annually. Salary potential peaks at $135,600 annually based on a survey of current professionals. It is also among the top information technology careers. The tasks of security specialists include knowing to build firewall, install virus and malware protection, keeping the password checks. Sometimes it also includes data encryption. Especially in financial firms, banks, insurance brokers, the data is very sensitive and small amounts of leaks can result in loss of a lot of money. Also in organizations, data is of utmost import. If the details of a product that is soon to be launched is leaked, it may end up destroying the prospects of its marketing as competitors will run to develop similar or better copies. Hence, this shows the importance of the job of a computer security specialist. Computer hardware engineering is a very difficult and technical job. It involved designing and developing computer hardware, motherboards, chips, circuits and other hardware devices. The hardware is constantly improving. Every year new systems with better specs are developed. So it is the responsibility of the hardware engineer to constantly upgrade the systems and designs. This job requires a lot of patience and perseverance as after many failures the successful machine is developed. The hardware engineers provide the assistance in maintaining the machine too. If a computer system is broken down, hardware engineer is the person that you need to go to. If you go into hardware development, the pays are quite high, however if get in to tech support area, you might get to get your hands dirty and fix up and look into lots of machines, but it does not pay well. read more AI era is it finally here? A network architect is supposed to design and implement a network in an organization, specific to the requirements and resources of that organization. There are a number of ways in which a network can be designed. It can be a local area network (LAN) or wide area network (WAN), or over the internet as in using the cloud services. If the organization is small, it will be easier to develop the network but if it is spread over to offices in different countries, the network architecture will be complex and difficult to manage. Depending on the complexity of the network, the pay of the network architect will also vary Thus in multinationals the network architects are paid quite handsomely and it is among the top careers in computer science industry. Like the IT jobs mentioned earlier, the network architect must also be well up to date. He should know which would be the best protocols that’s define the connectivity between different nodes on a network. He must also have some knowledge about network security too, so he should know how to protect the network from outside threats. It does not let any leaks to appear in the network. The median wage salary of a network architect is 110,923. Having all the characteristics of a good job this is definitely top information technology careers to choose. With the ever increasing reach of the internet, there is no shortage of work related to web development field thus making it among top information technology careers. In fact the demand of web developers increases every year as new web technologies emerge and people want to shift their platforms to newer and better technologies, which means job opportunities for the web developers. However if you opt for this profession, you would have to keep your knowledge about current development trends up to date. Only people who are passionate about web design and development can really succeed in this profession. There is a large scope here of creativity. In order to design attractive and catchy websites you need to have an aesthetic eye, creative mind and a technical approach. You should also know the limitations of your systems and to rein your creativity under it. A good web developer will develop websites with excellent navigation and user friendly design. Also the site needs to be compatible over various platforms and across as many browsers as possible like chrome, iexplorer, Firefox, Mozilla, Opera etc. the good thing about this job is that if you are good at what you do there is a plenty of freelance work available. Even if you do not have a job there is a likely chance you can earn a good income. This is one IT career where even if you do not have formal education in computer science but have a flair for programming, you can excel in it. There is a large market for iOS and Android Apps, even windows app store has a good potential. You can work on freelance projects or make your own App development startup. All you need is a good idea and a knowledge of iOS or Android or windows OS platform. App development comes under computer programming or software engineering but it has become such a vast field that we have made a separate category for it. This field might not pay well and if you working on your own, it might take many months until your App starts generating revenue. So if you want to invest in this field do some risk analysis first. It may be among top information technology careers but it has its drawbacks too. 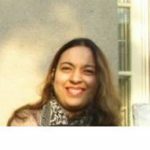 Data science is an emerging field of computer science. Becoming a data scientists is among the top information technology careers. There is good potential in this field because being relatively new there is relatively less saturation. Data science deals with gathering, ingestion, cleaning, processing and storage of data. Its main purpose is to get useful information from the data and turn it into actions. Data is very important in today’s world and there is a huge amount of data being generated all the time everywhere. Because of large amount of data the concept of big data has emerged. The main task of a data scientist in an organization is to take their data and process it such that it can make helpful and useful predictions with it. It’s task is to utilize all the data in the organization and make as appropriate predictions as possible. With the advent of big data field there has been a great increase in demand of data scientists. The median wage salary of a data scientist is 108,497. There is a good scope of IT professionals in Health industries. Firstly there is a lot of work in designing systems for hospitals. More and more hospitals are now completely relying on electronic records. An IT professional with excellent) IT skills as well as record keeping and data management skills can do great in this field of work. The human capital optimization systems also have great utility in hospitals. They are required for regulating nursing shifts and doctors duties. Not only does hospital require the services of data scientists but IT researchers for various works. IT Scientists also required in human genome studies. So there is a good scope in health information technology industry. The work of database manager is to design and manage a database. The database manager designs a unique database for an organization according to the needs of the organization. He will be responsible to update, add and delete database records. The records will be adjusted according to the instructions. At the Bachelor’s level, the courses include: advanced SQL, web architecture, design concepts, and network administration. At the graduate level, the student may be interested in the Master of Science in Information Systems Management. The Master’s courses prepare graduates for intensive study in data mining, multimedia databases, homeland security application, and warehousing. These are some of the top information technology careers to choose for the IT professionals in different computer related fields. These are of course not the only ones, as there is also software quality assurance, graphic design, applications directors etc. Strictly speaking there is no one best career path. If you are good in what you do, ultimately you will succeed. Choosing top information technology careers can take you far only if you put in hard work. The key in this field is to remain updated about the advancements that are going on. Only then you can be a successful IT professional. 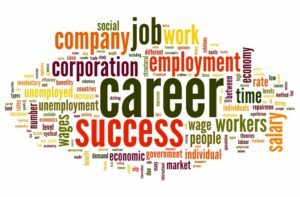 Which IT related field do you think is best for career choice. 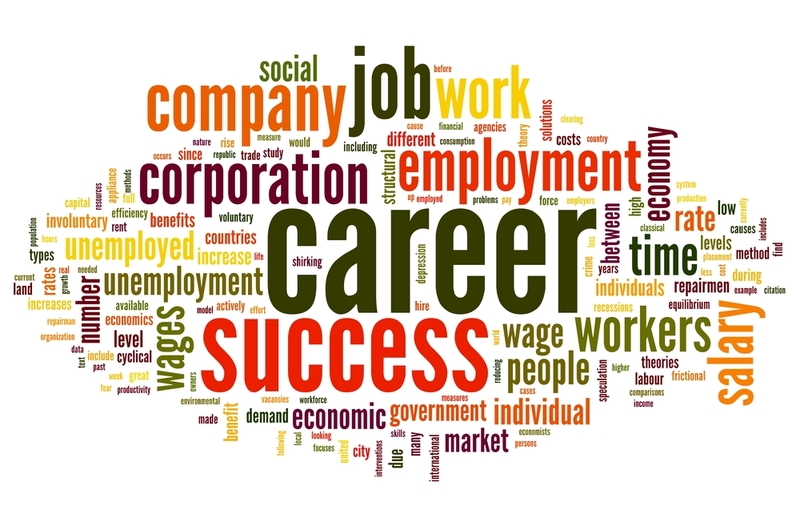 Do share with us about your career choices and why do you think they are good? Reply in the comments section below.